eCommerce is constantly evolving but one thing remains the same: online shoppers are bombarded with hundreds of marketing emails everyday. While the medium for communication hasn’t changed, the depth and diversity of email capabilities has grown exponentially over the last decade. In this week’s article we’re going to look at some ideas that can get your email marketing up to speed and help your messages stand out in an overflowing inbox. There are three primary components to an email subject line: Contents, characters and strategy. We’re going to go through each of these elements and outline the best practices that will get your emails opened. In 1996, Bill Gates published an article titled ‘Content is King.’ This prophetic piece covered everything from online news to games and this mantra has since become the battle cry for every internet marketer. This need for personal involvement in anything internet even applies to, you guessed it, email subject lines. Following the tips below, you’ll learn how to inject relevant content into your subject lines and get your marketing emails opened and read. If you’re able to tailor your subject lines to the consumer’s characteristics, preferences or interests your emails will stand out and get clicked. Depending on the limitations of your current email service provider (ESP), personalization can range from dynamic insertion to segmented strategies. Dynamic insertion allows marketers to customize each individual subject line, while segmented strategies group customers into messaging segments. Including your customer’s name in the subject line will draw attention. People are hard-wired to recognize their own name in a page of text in the same way they can quickly identify the make model of their car on the highway. Dynamically inserting your customer’s name also suggests a pre-existing relationship. If you have their name, then it is likely they have interacted with your brand before and are interested in what you have to say. Catch your customers’ attention by aligning your email subject line with their location. Whether it’s regional-specific products or simply a reference to their locale, personalizing subject lines based on geo-location is an effective method of inducing email opens. As seasons change, so should your subject lines. Stay relevant. Take advantage of seasonal details that can creatively convey your message. Assist shoppers as they gear up for certain weather. Remind them of holidays relevant to their country. These seasonal messages will make your emails stand out in a stagnant inbox. Align your email subject lines with the shopper’s level of intent. As shoppers progress through the conversion funnel, the common reasons for site abandonment evolve. Open rates will increase if you address the reasons for abandonment in your subject lines. Include products previously viewed or products that were put into their online cart. This type of personalization reminds the shopper exactly where they left off, making it easier for them to complete their purchase. Also, don’t forget about keeping previous customers engaged. Previous customers are ones you already know, which are the best kind. If they have previously purchased an item, sending a follow-up email not only keeps in touch with your customer, but also collects data (product reviews) that is significant. A subject line may be short, but it should be embedded with a strategy aimed to get the email opened. With only so much information displayed to the user, make sure what is visible is enticing. Use the subject line to tell the customer what you want from them. Clearly state the goal in the subject line. Are you offering a discount? Are you reminding them of their abandoned cart? The more direct you are, the easier it will be for the shopper to navigate back to your site. Engage the user with a clear call to action. The email body should deliver the goal you stated, whether it is a link to their discount or back to your page. Ask a question. The best questions elicit a need to open the email in order to answer. By sparking curiosity in the customer, you keep your brand top of mind. They will be more motivated to open the email and claim their discount and follow through to your site. Creating Urgency without Saying Urgent! The email subject line should excite the customer. Create a sense of urgency that compels the user to open the email. Urgency can be conveyed without a demanding tone. You can include an offer’s actual expiration date or instead utilize time-sensitive language in your email subject line. Time-sensitive language would be letting the customer know their cart is expiring soon or that the discount is a limited time offer. “Don’t miss out” is a great example of creating urgency, while also invoking FOMO (fear of missing out) in the shopper- a perfect mix for a successful conversion. Appeal to your customer’s emotions by suggesting exclusivity. People love exclusivity. Exclusivity elicits desire. Basic economics tells us that as supply decreases, demand increases. With that small supply, the value is very high. There is power in a limited offer and what feels like VIP access. A “Just for you” subject line can be sent out to thousands of people, but can make those people feel individually rewarded by your company. With content in mind and strategy in place, there is only one thing left: characters. There is such thing as “netiquette” and offenders will be sent to the spam folder. Your subject line length should be short. Keep in mind that users are not only checking their email from desktops but from mobile devices, as well. As of May 2015, 75% of Gmail users access their email through a mobile device. Keep your subject line short and accessible by every user. An email subject line should be easy on the eyes. Special characters are generally advised against, so avoid using symbols to replace actual letters. Also, avoid white space between letters. You want your subject line to be easily read. If you use all capital letters in an email subject line, expect backlash. When reading text in all caps, most people read it as shouting. However, while objection to the caps lock key exists, for some companies, like NastyGal, the implementation of this approach in their email campaigns has been successful. Alternatively, the anti-caps lock approach, the “all lowercase” campaign has been used by Kate Spade. In this post by Fulcrum Tech, Kate Spade’s all lowercase email subject line is dissected with the verdict that the all lowercase choice aligns with the brand. Ultimately, it is up to the client. The usage of capitalization must align with the brand’s identity. For some companies, it might be very successful. Before you press that caps lock key, just remember: tread cautiously. Emoji’s can be a great way to stand out in a flooded inbox. Including emoji’s in an email subject line can be extremely beneficial as long as they are relevant. Relevant emoji’s correspond with the subject line text. Emoji placement is important. Don’t overwhelm the user; delicately place emoji’s in the subject line. Also, emoji placement can be creatively chosen. Start the subject line off with an emoji, or choose to place it at the end of the subject line. Keep in mind subject length, so don’t use multiple emoji’s when 1 would be effective. Also, keep in mind character count when choosing where to place the emoji, as ones placed on the tail end might not be visible. Get creative, but definitely test emoji’s success. Emoji’s are playful by nature, so don’t be afraid to get creative with them. Understand who the email is being sent to. Know when to adapt your tone for the recipient: humor is great, but not always appropriate. With emoji’s, knowing your audience is key. A/B test subject lines so you can measure the subject line’s success. 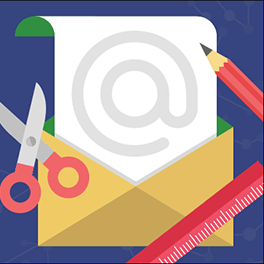 With these primary components in mind, your email subject lines have a formula for success. Test different variables of each component and see what works for your brand identity.